Wales is home to over 600 castles and, for a relatively small country, this is a huge number and speaks volumes of its remarkable history. One of the goals of our trip to this part of the United Kingdom was to discover Wales’ castles. Well, we managed to visit 6, a mere 0.01% of the total number of castles. Let’s say we still have a lot to do! 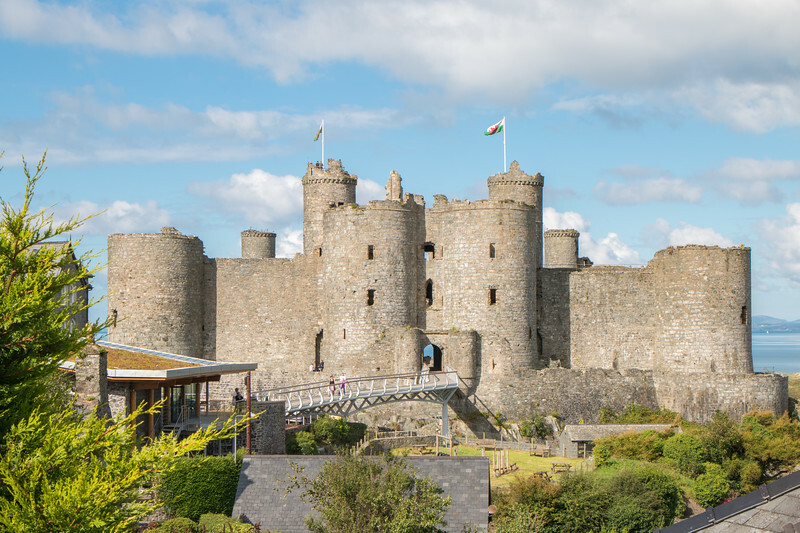 The 6 castles we visited are amongst the most famous Wales’ castles and include 4 that are part of a UNESCO World Heritage Site called “Castles of King Edward in Gwynedd”. 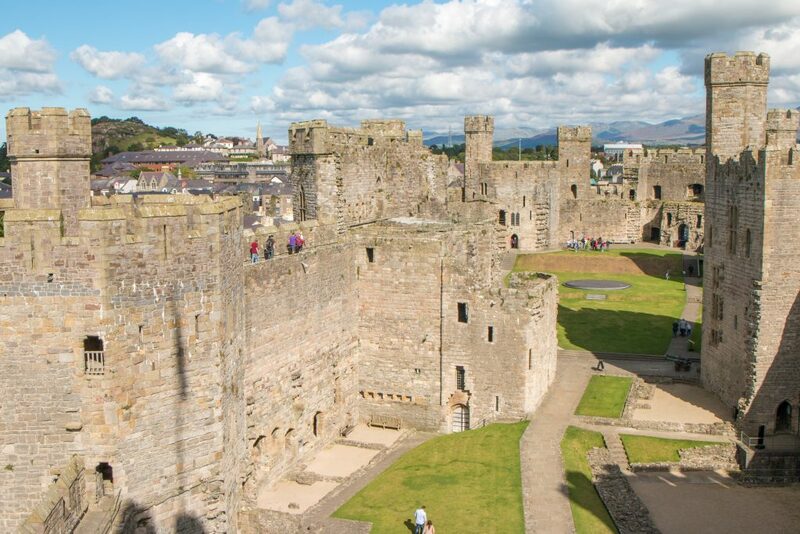 These are Beaumaris, Harlech, Caernarfon, and Conwy, all from 13th and 14th centuries and located in northwest Wales. Rest assured that wherever you go in Wales, you’ll never be too far away from finding yet another castle. Take a look at the ones we visited. 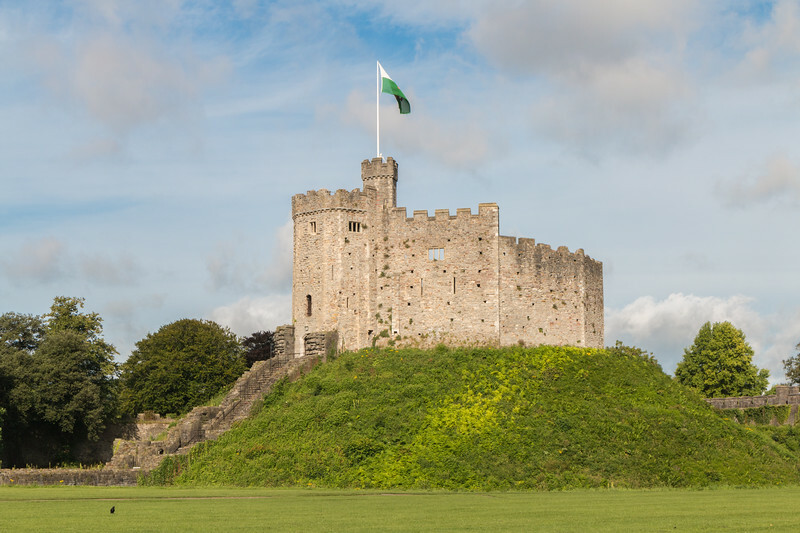 Cardiff Castle is located right in the center of Cardiff and is one of the main attractions in the capital of Wales. The castle has a long history dating back to the 11th-century and suffered many modifications over time until it reached its current state. Previous to the castle, there was a Roman fort on site. At least a couple of hours are necessary to visit Cardiff Castle, which includes a good number of things to see. Namely, the Norman Keep (pictured above), the incredibly decorated apartments, the wartime shelters and the grounds. Caerphilly Castle is huge! Located very close to Cardiff, only 25 minutes driving, this 13th century is one of those castles we all dream of visiting as kids. It’s fully surrounded by water for better defending against attacks, has multiple towers and immense walls. It comes as no surprise that this castle is the 2nd largest in Britain, after Windsor. A cool feature of Caerphilly Castle is its leaning southeastern tower, that magically still stands despite the incredible angle. 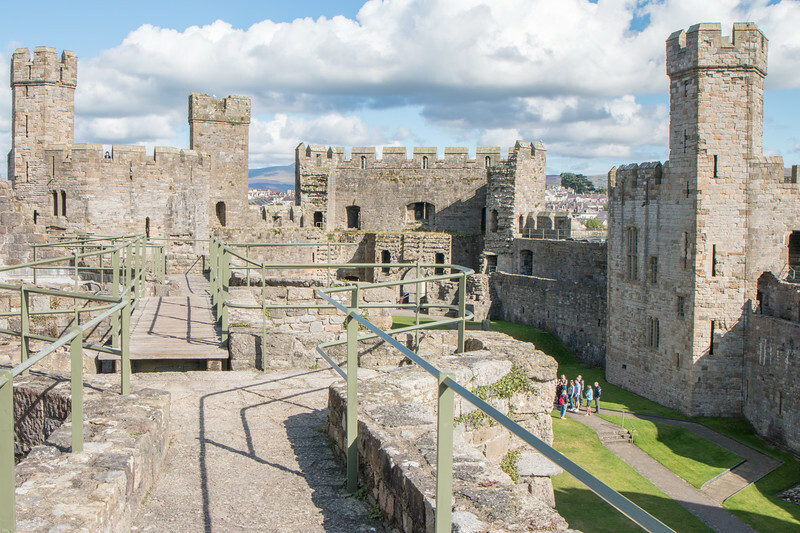 Harlech castle was the first of the 4 World Heritage Castles we visited in North Wales. The location is perfect, sitting naturally on top of a rock with views overlooking the sea and the mountains, the ultimate defensive vantage point. The castle is in a great state of conservation and, although not very big, a walk on its upper walls is very rewarding – we spent a good time just gazing the horizon. 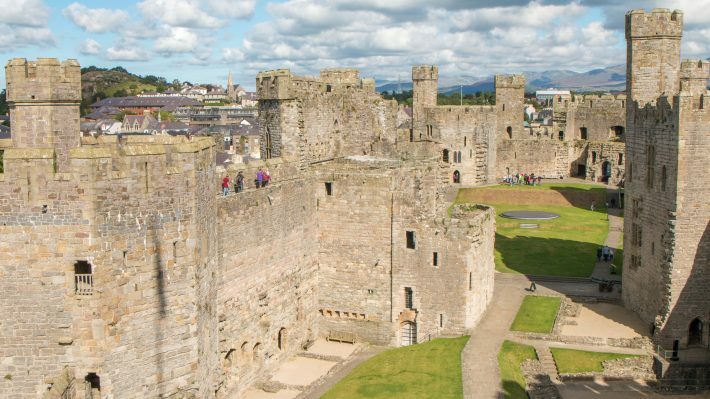 Caernarfon Castle is a maze of stone by the sea. Seriously, there are so many things to explore inside this castle and so much stone was used to build it that it feels very strong. One of the most impressive things about the castle is its many towers, which are polygonal instead of round. Most of the castle is open to visit and we climbed a lot of steps, up and down, from tower to tower. All worth it! If you’re looking for a different perspective to see and photograph the castle, there are two interesting options. The first one, just across the bridge, and the second one, at the top of a small hill further inside the town. 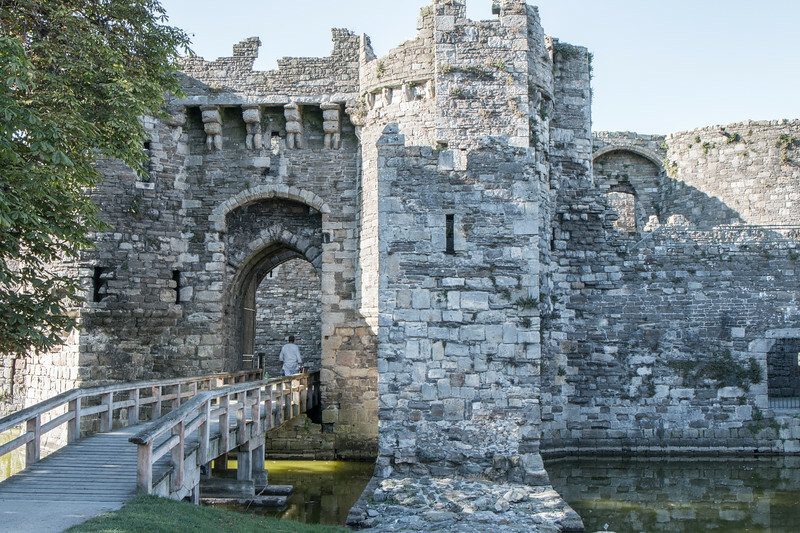 Beaumaris Castle is located on the island of Anglesey and is another example of the incredible castles that Edward planned for the region. The castle was designed to be perfectly symmetric but, unfortunately, it was never finished. Despite being unfinished, Beaumaris Castle is a very strong castle and one worth stopping for. Conwy Castle was our last stop on this tour of Wales’ castles. This is another massive castle with many towers and a lengthy wall that still stands and surrounds the old town. It is possible to walk on the walls! 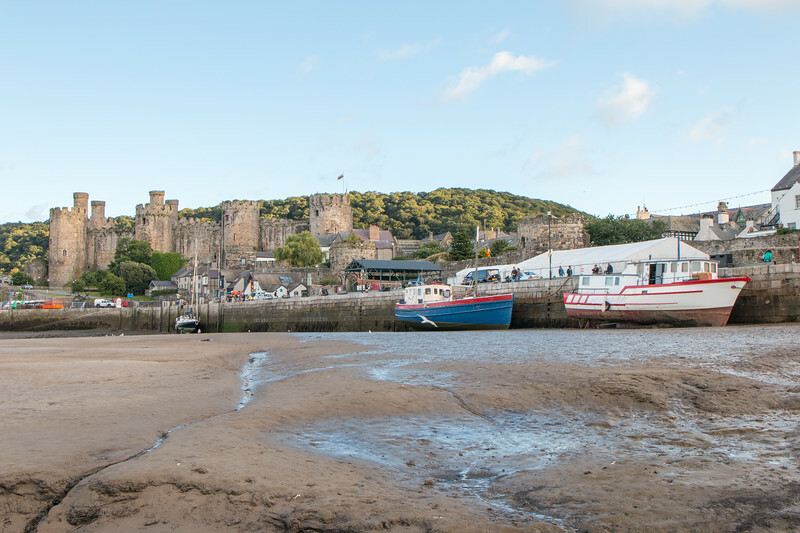 Catch beautiful views from across the bridges towards the castle and also from the small harbor on low tide. 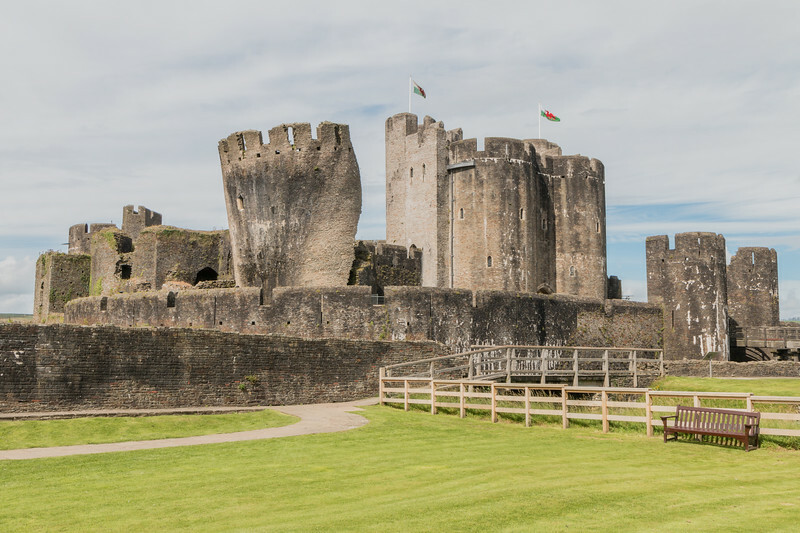 All of the Wales’ castles we visited charge an entry fee, and if you’re planning to visit them and other heritage attractions, the budget grows quite fast. Money saver advice. Take a look at the explorer pass, available for 3 or 7 days, which includes many places in Wales at a reasonable price. We’ve mentioned this before but we had a great time exploring Wales and look forward to going back and visit again. When we do, more castles will be on our itinerary. That’s certain. Do you visit castles when you travel? What do you think about Wales’ castles?